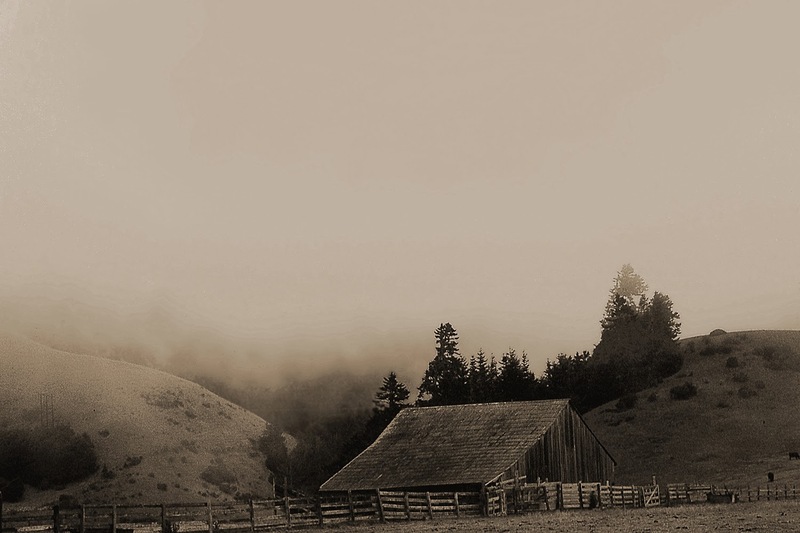 According to the gallery book that I put together for Open Shutter’s Tones of Black and White exhibition, the Fog Series began in 1970 with a photograph of a shambling old barn in Mendocino County just inland from the town of Mendocino on the way to Ukiah. I still remember the moment that I jumped out of our VW Beetle to catch the iconic scene. Ever since the mysteries of fog have lurked in the deep reaches of my creative self only to emerge one summer morning at the Presidio of San Francisco in 2009. It happened again while shooting the Putney Rowing Regatta on the Connecticut River of southern Vermont and once more on a more focused trip to the northern California coast this past summer. Your series is remarkable in many ways. That you were able to scan this particular image from a 1970 negative is a tribute to its development and care over the years. A lovely portrait of California at that time, and as it still is in many places. ..moody which I'm particularly fond of....poetic and breathtaking!